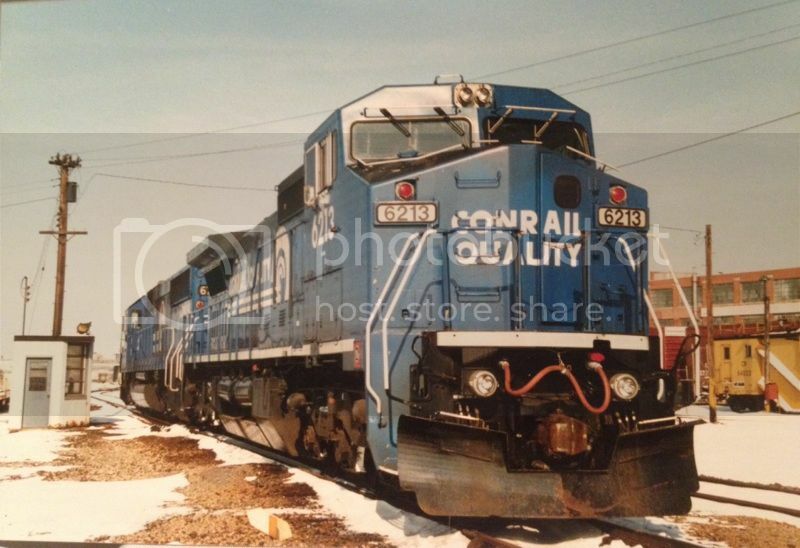 Looking for any info on Conrail's ex GR&I line from Kalamazoo to GR. What customers existed along this line in the 90s? I know the GM Fisher Body plant at 36th street in Wyoming was a huge customer. 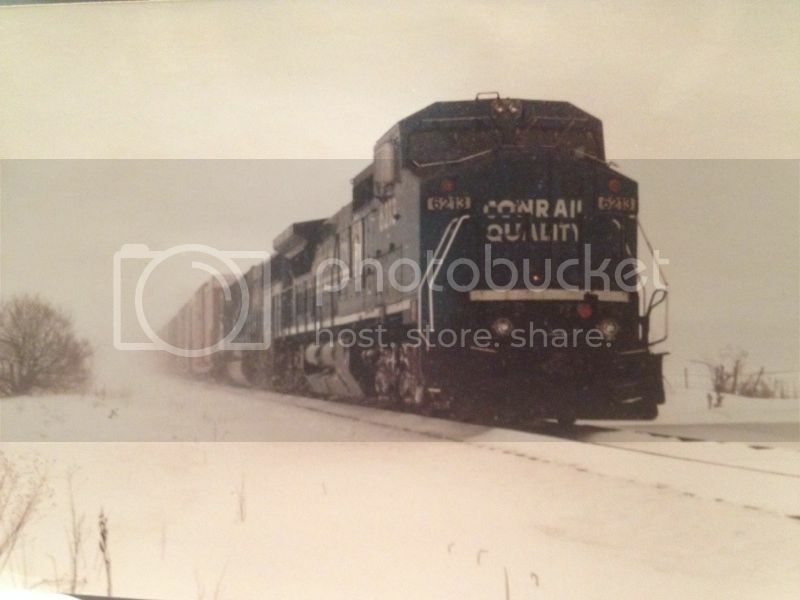 Was this traffic handled on ELGR and GREL or its own train? What locals ran on the line? Did the Hastings branch have any active customers during this time? The GM traffic was handled by GREL and ELGR. By the '90s, the Hastings branch had been leased (or sold?) to the Kent-Barry-Eaton which didn't last long. That line was abandoned during this time south of 44th St/Kalamazoo Ave. Don't know when Steelcase stopped shipping via rail; cars were stored there for a while. Nothing has moved on that line for somr time. Others can provide exact dates for all these events. Should have clarified, when talking about the Hastings branch, I'm referring to the line from Hugart to 44th. I know the lumber \building supply company on RB Chaffee was still getting lumber flats until the early 2000s. What is now Kelloggs (ex-Keebler) was getting flour and corn sryup late into the 90s. The steel transfer company currently in the back shop at Wyoming Yard was put there when Steelcase stopped getting steel at their place. 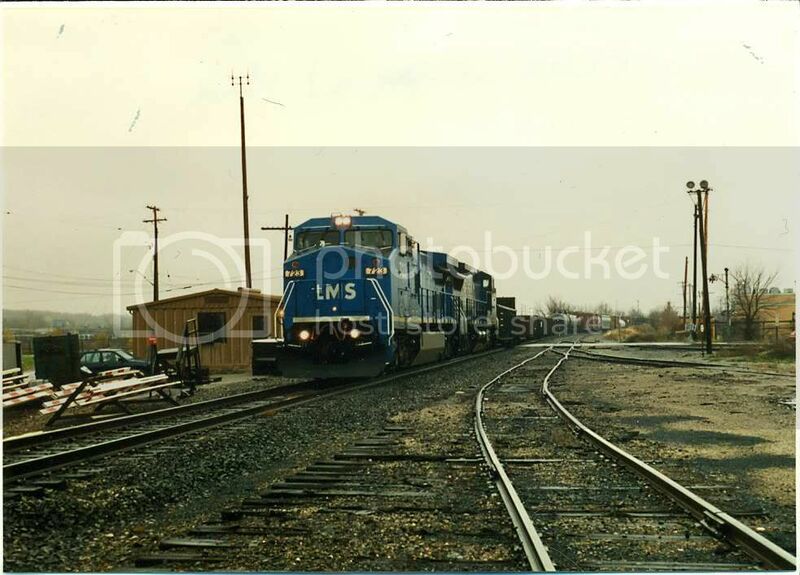 I want to say that was the early mid 90's when that moved into Wyoming yard. Magic Steel, plastics plant on Clay, Gordon Foods, 84 Lumber and Fisher #2 were handled by the GM local. Most of these customers had rail service into the early NS days. 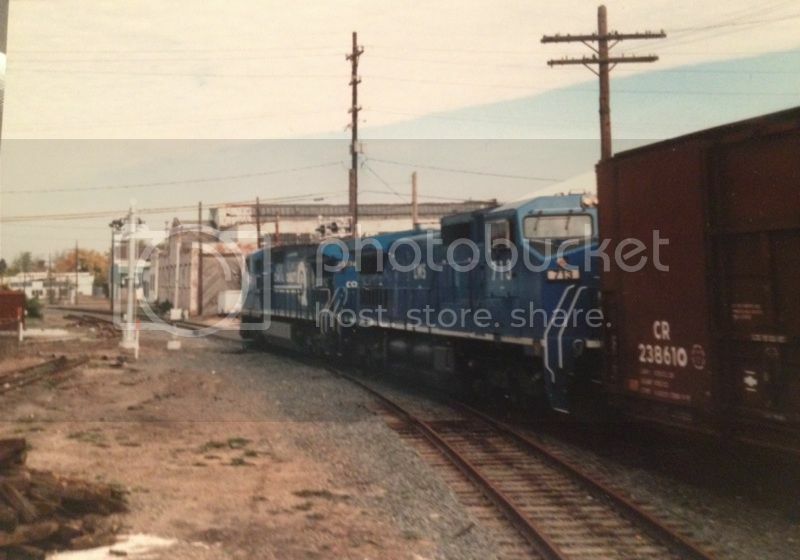 The transload facility just north of 28th was put in back in the 90s. I think the flour for Keebler was the original reason that was built. As for south of GR, the coop at Moline was getting a handful of cars a week. Not sure about Wayland. The truss company at 76th and US131 still had an active siding until sometime after NS took over the line. Anything south of there was handled out of Kalamazoo. If I can find my notes from back then I may be able to give you the symbols on some of the locals. Most times the yard master would refer to them by their name versus the actual CR symbol. The Hill Job went down the Hastings branch, west side job went to Padnos and the west side, and the Fisher job went south. Towards the end of the CR days the Fisher job would leave the GM cars at Fisher and GREL would pick them up on their way south. Up until then I can remember them dragging 20+ car cuts back to Hughart of those auto parts cars. PS the KBE lasted for just a few years. They got formed after the collapse of PC and where gone by the early 80s. KBE went out of business in 1983 IIRC. trnwatcher wrote: PS the KBE lasted for just a few years. They got formed after the collapse of PC and where gone by the early 80s. Lemme know when you wanna take a ride. I'll explain it all in a tour. Wife is doing northern casino tour next week. I'm open tuesday onward. Tons of stuff, all explainable in person betterly and more biggly then here. 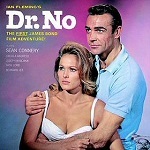 Doktor No wrote: Lemme know when you wanna take a ride. I'll explain it all in a tour. Wife is doing northern casino tour next week. I'm open tuesday onward. Steve, do rememeber what kind of cars Kellogg's reviewed flour in? Airslide hoppers maybe? Does anyone rememeber what kind of power was kept around in GR? From the pictures I've seen, GREL/ELGR ran with anything from GP15s to C40-8Ws. I'm guessing GP15s, GP38s and GP40s were the mainstay of local power. What about end cab switchers or GE Dash 7s? 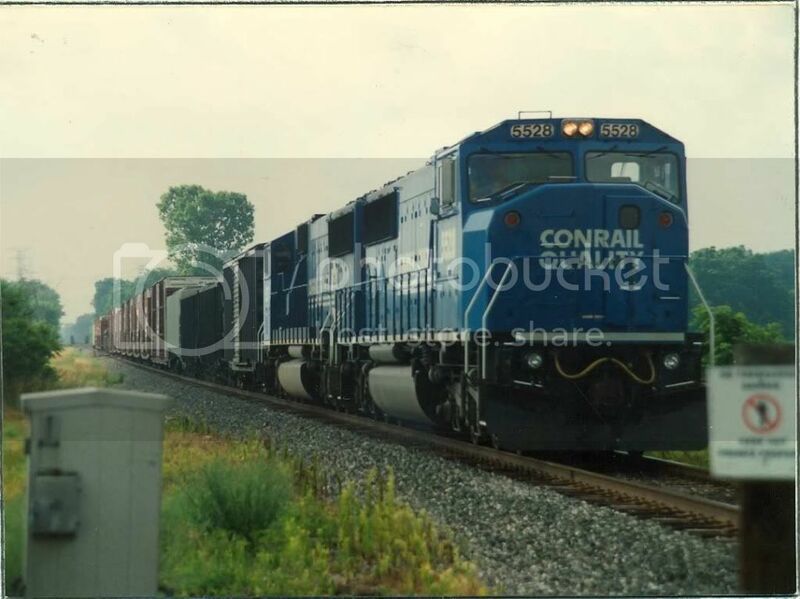 From what I saw when I began really paying attention from 1993 onward, ELGR/GREL normally rated a pair of relatively modern and/or six axle power. Often SD50, SD60 wide cab, C40-8W. I recall the LMS C40's and one time one of the gray leaser GE's-I think it was an LMX B40-8? 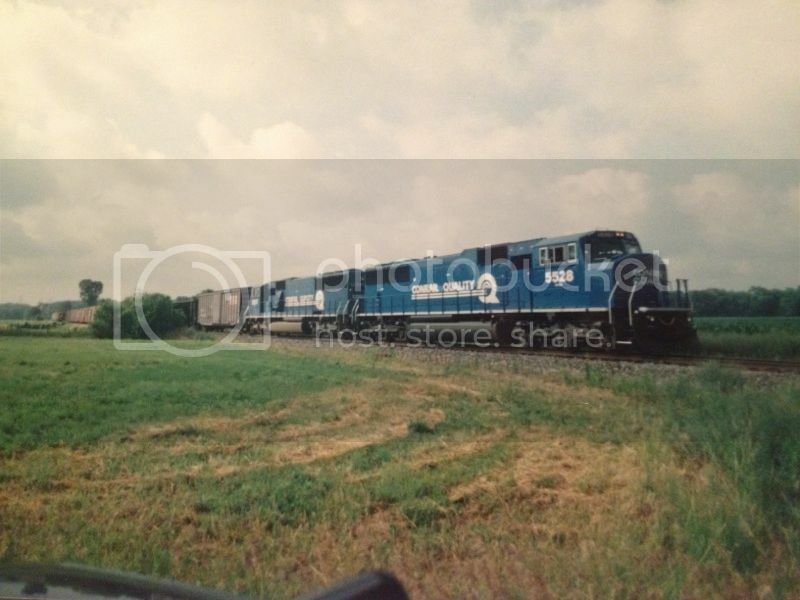 Local power was typically GP15-1 or GP38s. Switchers were much less common, but were regulars in the 80s. 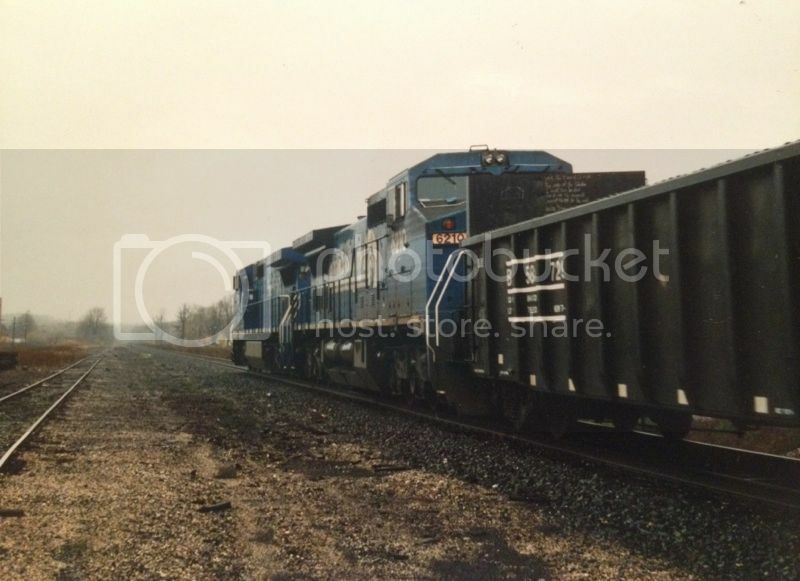 I think I have a picture of WDGR at Kalamazoo on the Michigan Railroads website on one of it's occasional visits to Kzoo. All local traffic down to Plainwell/Otsego was handled by WDGR01. Not sure when they stopped basing a crew at Plainwell. In the 80s GREL would make a pickup at Fisher and at Plainwell. Pretty sure the service to Keebler was replaced by the transfer in Hughart using the BulkMatic trucks. Not sure when that began but it was in operation by 94 or so. There was a place next to the northbound off ramp for 28th that seemed to always have a tank car or two. Last edited by Ben Higdon on Tue Feb 28, 2017 12:29 pm, edited 1 time in total. A quick look didn't turn up that train sheet but I'll try again. 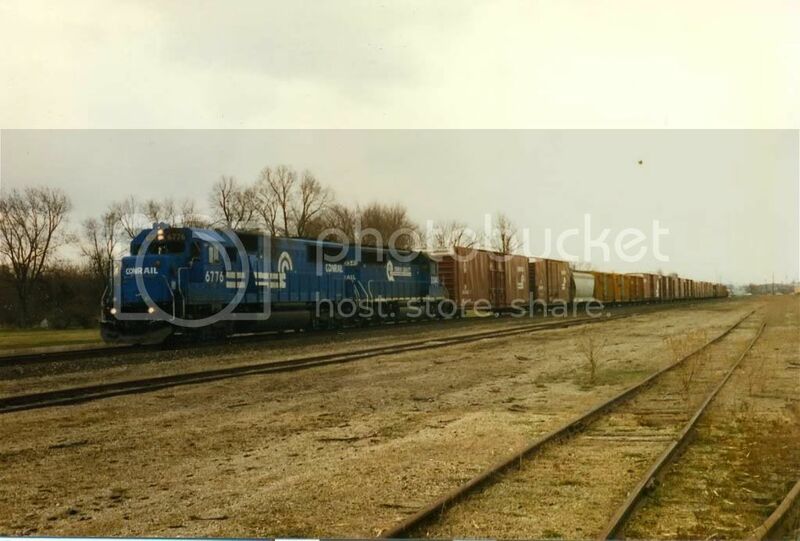 October 1994 northbound at Rose St in Kalamazoo. The remaining portion of the Fox Wye and siding for Johnson Howard, recently disconnected from the GR&I, is at the left, and the newly installed siding for Johnson Howard Lumber is in the foreground. Only thing I ever saw the new siding used for was holding a Sperry car overnight. 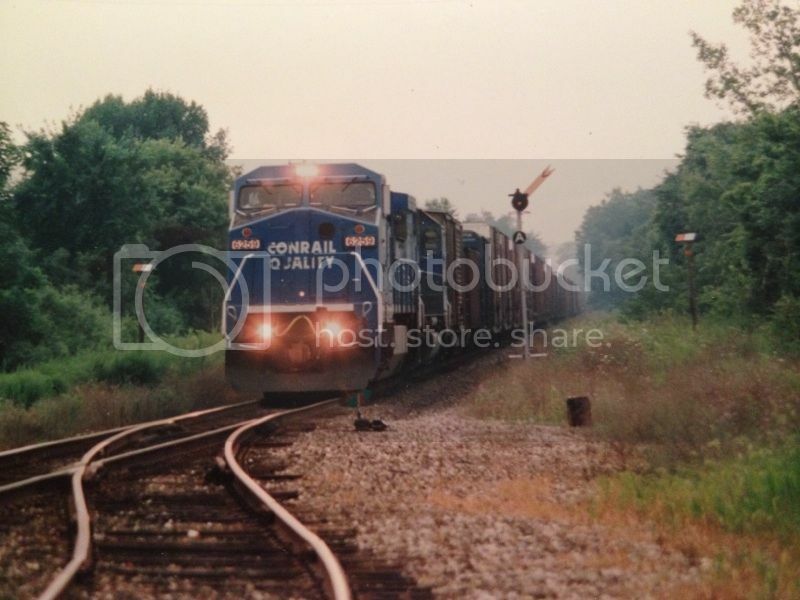 Another question: the branch that comes off of the Hugart Runner track on the northeast side of Hugart and goes east, currently disappearing in the trees before it crosses Steele Ave, did Conrail serve what is now Michigan Wheel? Also looks like there might've been a spur to Cascades Enviropac and or Butterball Farms? I believe this line connected to the CSX just west of Division way back when, looking at the aerial imagery. That trackage was called the Manchester Spur I believe? and jointly served by MC/PM. Another shot of the northbound at RC. Pretty sure the two coal cars would've been heading to Menasha at Otsego. I think they switched to natural gas around 1994. Is this one of those "stare at it for an hour and you'll finally figure how what is misspelled" quizzes? The time tables spell it Hughart. 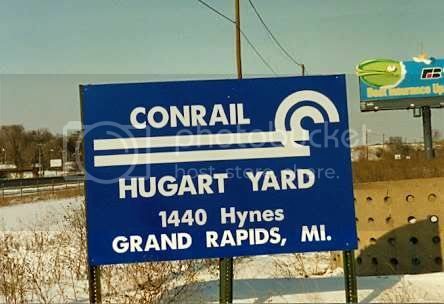 You seriously didn't know it was spelled Hughart? The easiest way I've always remembered that spelling is to pronounce it like "hug-hart."